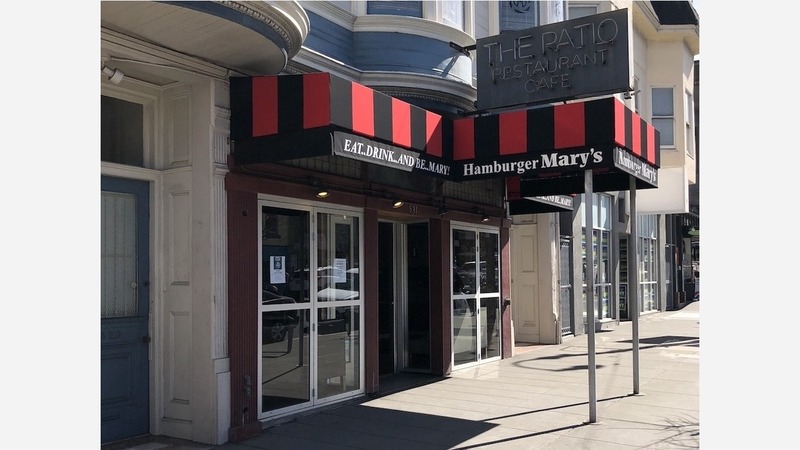 Tipster Gary emailed us this afternoon to let us know that the Castro's long-planned Hamburger Mary's (531 Castro St.) is on track to open next week. Today, the front door to the restaurant was ajar when Gary looked in and asked an employee when it would open. "'A week from Sunday or Monday' was the response," he said. Since our last report, the restaurant installed a new awning featuring the Hamburger Mary's branding. On March 1st, owner Les Natali transferred an existing liquor license to the eatery. The latest news will be welcomed by Castro residents and merchants, as the space has been dormant since The Patio Cafe closed in 1999. However, after the restaurant secured a Place of Entertainment permit in July 2017, a company representative told the Entertainment Commission the space would be be "ready to go after Labor Day."